The Sony MDR-NC60 Noise Canceling Headphone is one of the few items in its kind which can offer a quality listening experience at an affordable price. At Amazon, this product can be purchased at varying prices depending on the seller. The Sony MDR-NC60 is built with the over the ear design. This provides comfort with an easy and more comfortable fit for anyone who wears it. Other models offer an in the ear or on the ear design. The head sets are also adjustable. They can be folded and easily stored with a case that comes upon purchase. It is light weight at only 230 grams or 1.4 pounds. This maybe the least recorded among other noise cancelling headphones. Despite being light, it has a durable built. Like most other noise cancelling head phone brands, it is able to reduce background noise up to 85%. That is translated to 16.5 dB or decibels per 200 Hz of sound produced. This feature can be attributed to its built in parts such as the 40 mm driver installed and its neodymium magnets. Purchasing the product comes with a handy carrying case, alkaline AAA batteries, a ¼ inch UniMatch plug adapter, and an in-flight adapter which matches airplane carrier entertainment system jacks. UniMatch is known for being versatile among audio cords. It fits practically all entertainment jacks for any type of use. ● Batteries included with the item provide up to a maximum of 30 hours of play time. ● Noise cancellation feature can be at par with other more expensive brands of this type. ● Head set design is made to fit any head size with ease. The padding makes it comfortable for the ears too even for extended hours of use. ● Audio and sound are of excellent quality. All beats from bass, treble, and mid range can be perceptible. ● Noise cancelling microphones feature allow you to still communicate with anyone when needed, like a stewardess during a flight. ● New users may find it difficult to find the switches for the microphone as well as the volume. ● The carrying case included upon purchase is softer than those from other brands. This may cause issues during baggage handling, shipping, and other transport processes. ● The adapter when folded allows additional empty space on the case. This is too tight to fit anything else but still too loose for any type of unnecessary shaking and movement to cause damage to it or to the noise cancellation headsets. ● With the noise cancellation option turned off, sound quality is less audible. A hissing sound is also evident, although is common among other items of this type. ● The item is too sensitive with movements and vibration such as in a train or any other passenger vehicle. As a conclusion, the Sony MDR-NC60 Noise Canceling Headphone is only one of the few items of its kind which can be purchased with a little over a hundred grand. This may not be a great choice for those who commute with mobile transport but is great for air flights, homes, and work. 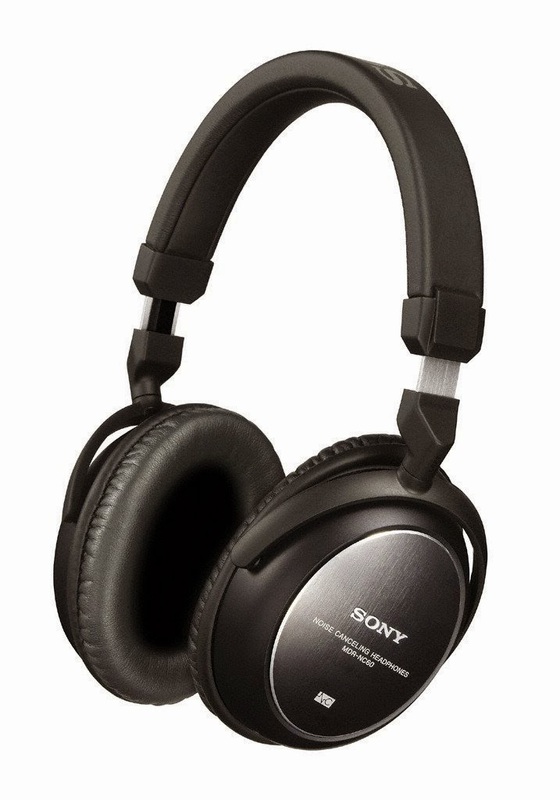 Click here to buy the Sony MDR-NC60 at Amazon!